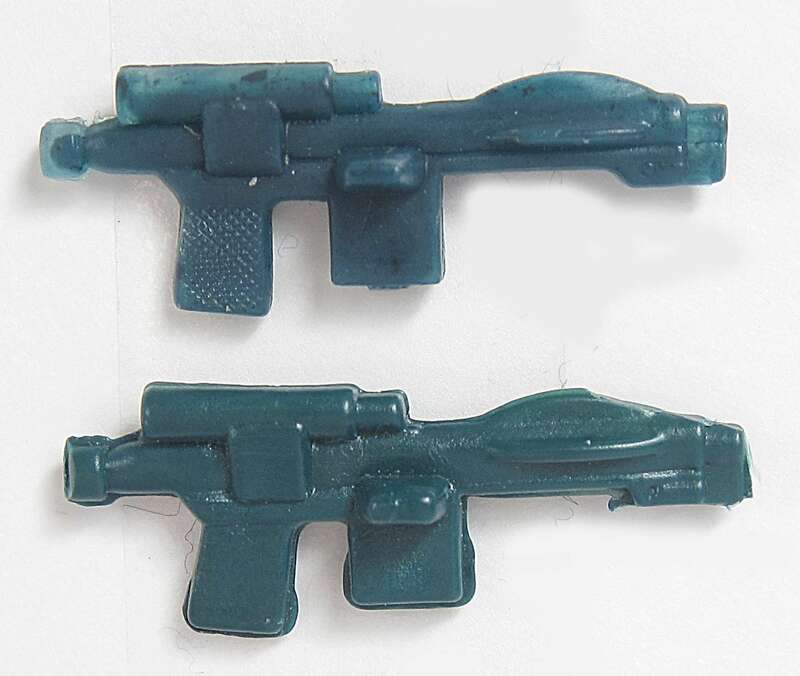 I think this might be a new, or at least not up on the guide, repro Imperial Blaster. I got it within the last couple of months and I am not really sure from where exactly. I'll try to go back through my stuff and figure out the culprit. It is pretty good. And I think it might be a little 'short shot' and if that is the case, that would mean the mould would be capable of making better ones. I see hints of that in the handle detail and its body. 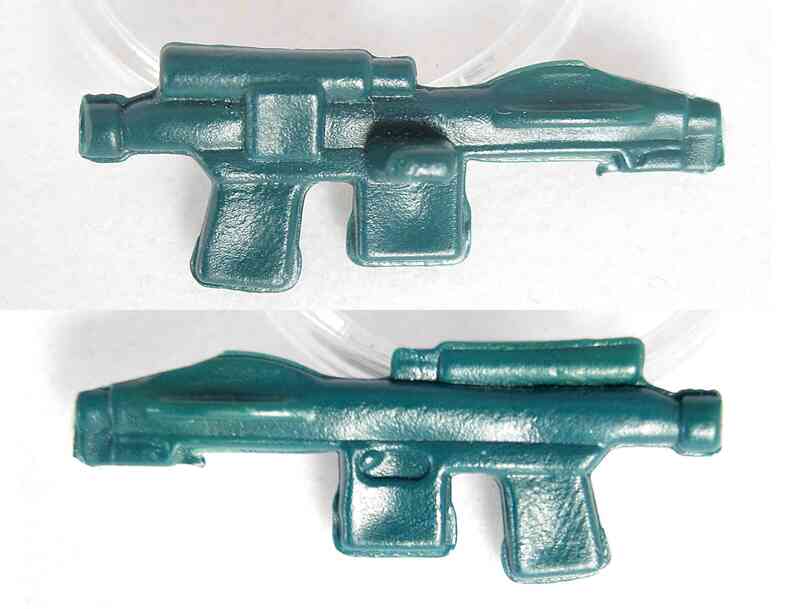 Compared to similar indentations I have seen on other blasters, it is possible. Anyway... excess flashing and the more green color caught my eye first. No sprue tree break on the bottom of the magazine. Lack of crisp detail on handle. It does have a decent and mainly crisp mark at the end of the barrel. On the side with the indent, there is a small semi-circle inside the indent (pic #2 it is circled). On the side with the indent, the scope has a detail that is odd. Not as apparent in the pics, but pic #2 outlines it. Last picture is for color comparison to a blue blaster. I didn't have a more solid color one to show, but you get the idea of how much more green this other one is. I can't hear any significant difference on the drop test. Floats in water even if pressed to the bottom. It feels as rigid as an original (tiniest of bends). Does feel a little slippery and unlike a few I grabbed to compare. New or just not updated on the guide? Nice pics and observations, Jay. Never seen one like that before. I'll add it to the next round of updates.